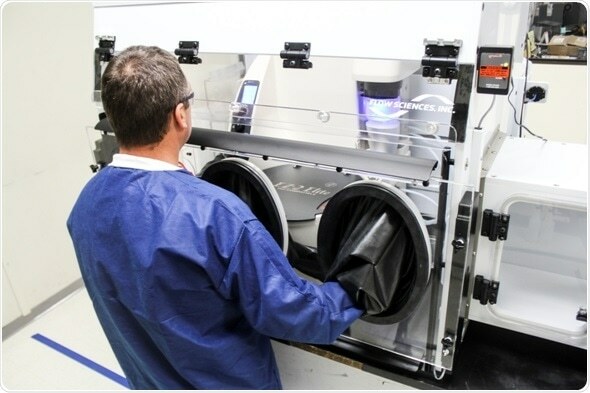 The EZ-2 Elite Centrifugal Evaporator from SP Scientific is a compact parallel evaporator equipped with leading-edge technology to evaporate samples efficiently and safely. Benefiting from a high-performance scroll pump, which delivers deep vacuum, the EZ-2 Elite is able to routinely remove all common organic solvents including DMSO and NMP. In addition, internal heating of vapor duct and system components ensures that such challenging solvents only collect in the SpeedTrap condenser, and not anywhere else. The SpeedTrap condenser on the EZ-2 Elite comes the benefit of automatic defrost and drain technology, which is ideal when handling HPAPI applications as no user interaction is required. The system is compatible with a wide selection of sample holders enabling evaporation from most common sample container formats, including round-bottom flasks up to 500 ml, tubes up to 160 mm long and custom reaction blocks, as well as shallow and deep-well microplates.